Carry your food and drink with ease – 24HR! This combo set includes a Great Plate and a 16-oz cup. The center of the plate is sized to hold the cup. A convenient way to hold your drink and food with one hand! 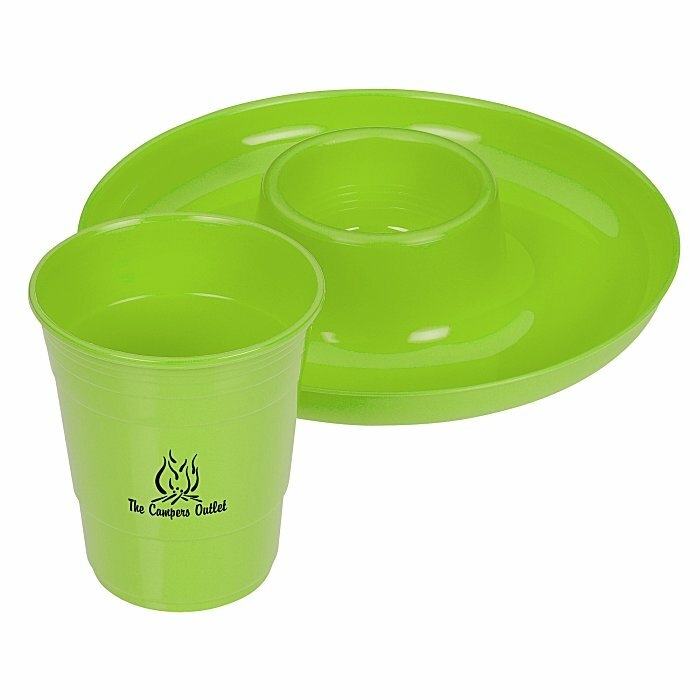 This reusable set is made of durable BPA-free plastic. To purchase the Great Plate separately, please see item #similar item search 139792. Your price includes a one color imprint on both sides of the cup.